Mr. Whitworth is a partner in the firm’s business and commercial litigation department with nearly fifteen years of trial experience in the state and federal courts of Maryland and Pennsylvania. Mr. Whitworth regularly represents clients in financial, business, employment, construction, real estate, and securities related disputes. In addition to being repeatedly recognized as one Maryland’s top business litigators, he also serves as outside general counsel to many companies and entrepreneurs in a variety of different industries, including financial services, telecommunications, manufacturing, construction, and real estate development. Mr. Whitworth’s passion as a trial lawyer began in law school, where he was a pioneering member of the school’s nationally-recognized National Trial Team and a member of the Moot Court Board. He was awarded the ACTL Lewis F. Powell, Jr. Medal for Excellence in Advocacy and was elected into the Order of the Barristers (recognizing excellence in oral advocacy and brief writing skills). After graduation, Mr. Whitworth joined Maryland’s oldest law firm, Niles, Barton & Wilmer LLP, as an associate working in the Commercial Litigation, Insurance Law, and Construction and Surety Law departments. During his tenure with the firm, Mr. Whitworth successfully tried cases in the state and federal courts of Maryland and Pennsylvania, including several insurance fraud, general liability, and construction related cases. In 2001, Mr. Whitworth was hired as associate in the commercial litigation department of Gebhardt & Smith, LLP. Mr. Whitworth’s practice initially focused on the representation of banks and financial institutions, including lender liability cases and general creditors’ rights representation. After several key victories in other sectors and industries, such as construction, securities fraud, and employment, Mr. Whitworth’s practice expanded to include the regular representation of contractors, developers, entrepreneurs, investors, and employers. In 2007, after obtaining a reputation for providing exceptional and efficient representation of his clients, Mr. Whitworth was admitted as a partner of Gebhardt & Smith. Thereafter, Mr. Whitworth continued to successfully represent clients and try cases throughout the Mid-Atlantic and beyond, including Florida, Oklahoma, Kansas and Louisiana. 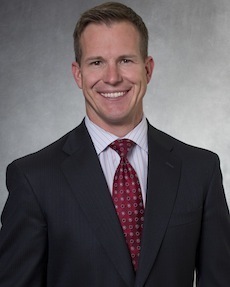 In 2014, Mr. Whitworth joined Silverman, Thompson, Slutkin, White, LLC as a partner in the firm’s business and commercial litigation department, bringing with him not only a wealth of knowledge and experience in various aspects of commercial litigation and business law, but also a passion for strategically and successful solving his clients legal issues and disputes. As a regular presenter on the issues of Electronically Stored Information (ESI) and E-Discovery, Mr. Whitworth regularly advises clients on proper data retention and E-Discovery policies and practices. Mr. Whitworth has litigated a number of E-Discovery disputes, including successfully obtaining sanctions against opposing parties for wrongfully disposing of key evidence. Lead counsel to defrauded investor in successfully obtaining $36 Million judgment against foreign medical school and its promoter. Lead counsel to claimant in successful Dodd-Frank SEC Whistleblower Award claim. Lead counsel in $16 Million international federal securities fraud litigation. Lead counsel in successful defense of investment advisory firm in $2 Million FINRA arbitration. Successful representation of defrauded investor in $2 Million state and federal securities act case. Lead counsel in successful representation of national telecommunications consulting company in $4 million fraud case. Lead counsel in successful defense of family-owned business in contentious minority shareholder oppression suit. Lead counsel in successful representation of developer in $120 million professional malpractice action against architect/engineer of high profile mixed-use development project. Successful representation of general contractor in multi-million dollar mechanic’s lien action. Lead counsel to subcontractor in multi-million dollar construction claim dispute. Lead counsel to minority-owners in negotiating the master developer agreement for the largest public-private development project in the State’s history. Successful prosecution of month-long federal bench trial in $10 million equipment lease case. Successful defense of national banking institution in $12 million lender liability litigation. Lead counsel to employee in multi-million dollar employment discrimination action. Lead counsel to executive of Fortune 500 Company in successful negotiation of lucrative severance package. Lead counsel in successful representation of injured victim in $1 Million tractor-trailer personal injury litigation. From 2012 to 2014, Mr. Whitworth was recognized by his peers as a Maryland Super Lawyer (Rising Star in 2012-13), which recognizes the top 5% of lawyers in the state. Mr. Whitworth regularly volunteers his time to “Coach” the University of Maryland School of Law National Trial Team, which has achieved great success, including winning and capturing the first place national ranking at the NITA Tournament of Champions.